We have been having so much fun with our Elf on the Shelf!! The girls wake up every morning so excited to see where Ginger is and they even talk to her during the day. Here is a peek at the fun things she has been up to at our house. Ginger going for a drive. Ginger getting a bird's eye view from the ceiling fan...hopefully no one turns it on today!!! Ginger is sharing an update from Santa...hopefully some motivation for Juliette to start being a better listener!!! Ginger set up Emily and Juliette's Nativity! How did she know we were going to need it today when we decorate for Christmas? Silly Ginger, Rudolph noses for everyone!!! We think Ginger really likes maple syrup...she almost drank all of ours!! Emily loves to draw so as soon as Ginger appeared she decided she would draw our Elf's silly antics. It was cute to watch her get out all of her supplies and get to work recreating the image of Ginger on the Candle on her own paper. This Christmas Season we have a special visitor watching the girls each day. Her name is Ginger and she is our Elf on the Shelf!! I have to say I was hesitant about this special Christmas Tradition. I do prefer the things that are more Christ centered. But I am so glad that we have included this in our Christmas preparations this year. The girls are in love with her and it is so much fun to see their faces EVERY morning as the look for her and then discover the silly antics she is up to. We had our Elf "delivered" to our front door one night. Delivered meaning Daddy placed her sitting on top of her box at our front door and then knocked while we were upstairs getting ready for bed. When the girls heard it they wanted to know who was at our door at bedtime. They were so excited to find our Elf on the Shelf! That night we read her special book, which is basically an instruction manual for her in a cute rhyming text. It told the girls that we had to pick out a name for her and how she listens to hear if they are good or bad and then tells Santa. It also lets them know that they are not allowed to touch her or she will loose her magic. Ginger for Ginger ~ we think she likes her name! Can you tell that the girls loved it?!?! Ginger loves our Wedgits as much as we do! Do you have an Elf on the Shelf, what is your favorite part of this tradition? Check back soon to see more of the fun that we have with our Elf, Ginger as we prepare for Christmas!! 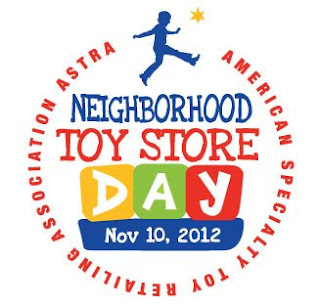 The 3rd annual Neighborhood Toy Store Day is coming this Saturday, November 10, 2012!!!! Participating stores will host local in-store events for families (such as activities, craft projects, live performances and/or special discounts) to help kick off the holiday shopping season and celebrate the joy of shopping for quality toys! This annual event is coordinated by the non-profit organization ASTRA, the American Specialty Toy Retailing Association and introduces families to the fun of shopping locally and celebrates each toy store's commitment to the community. You can find a participating toy store at Your Neighborhood Toy Store. The new Your Neighborhood Toy Store website is an amazing online resource for parents looking for the best toys on the market and where to find them. The website also features articles with expert advice on toys and playing for children of all ages and a local toy store locator. I personally love finding quality unique toys that my children enjoy playing and also stimulates their minds and imagination. Big box stores do not always carry these high quality toys and I feel they often cater to "fad" toys that children outgrow quickly and are usually cheaply made. At your local toy store you can find a wide selection of the best toys on the market that your children will really enjoy playing with. In addition, shopping locally offers better customer service and is a great way to support your community! Puppet-on-a-Stick by Education Insights is a great toy to foster creativity! The girls loved using these adorable puppets on sticks for puppet shows and making up stories. Each puppet has an oversized head with googly eyes, a movable mouth and a handle. Kidoozie Deluxe Build-A-Road with Elevator by International Playthings was Emily and Juliette's favorite toy of all of the toys we were given to test out. They loved creating and playing with all the different roadways that they created. The interchangeable, flexible track was easy for them to create with and they loved watching the cars move all around once they finished creating it. Feed the Woozle by Peaceable Kingdom is a great cooperative game where we all worked together to feed the Woozle. The girls loved crossing the room in all different crazy ways to try to get the silly foods to the Woozle. They learned body awareness, fine motor skills, counting and team work. Disclosure: I was asked by Child's Play Communications to help spread the word of Neighborhood Toy Store day. I was not paid for this post but I was compensated with the toys I reviewed. Every year we send holdiay cards to our friends and family because I think it is great to be able to send smiles along with our Christmas Greetings! 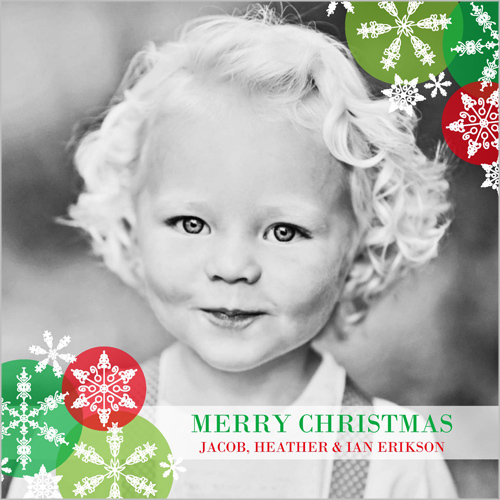 For Christmas last year we created our cards on Shutterfly and I was impressed with all the different styles available. It was a lot of fun to try them out with the pictures that we took. 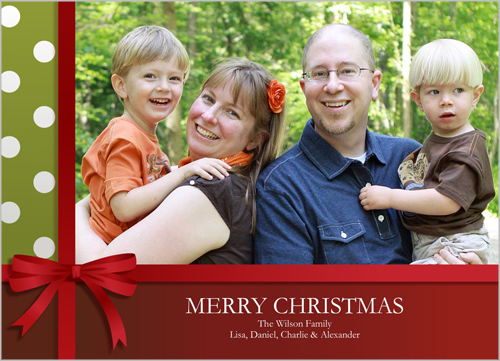 I was thrilled with the cards that we finally decided on and ordered from Shutterfly. This year there are so many new styles to choose from and after checking out all of the new Christmas Card designs I can’t wait to create our family Christmas Card, hopefully the photo shoot will go as smoothly as creating the card does!! Be sure to check out all of Shutterfly's great special offers and don't forget to enter my giveaway for $50 off your Shutterfly purchase!! Disclosure: I will receive money off my next Shutterfly purchase for writing this post to participate in Shutterfly’s holiday card promotion however these are my own unbiased experiences and opinions. To celebrate Emily’s 5th Birthday she had all of her friends over for a Pinkalicious Tea Party. I had so much fun scouring the internet for idea for this party and Emily had a great time celebrating with her friends. Our Dining room all decarated for a Pinkalicious Tea Party. I used 2 tea sets, one set was my mother-in-laws and the other I received as a bridal shower gift. We served bagels with pink cream cheese, pink lemonade and pink milk (strawberry milk). Once all of our little guests arrived in their adorable pink outfits they sat around the table and I read the book “Pinkalicious” to all the girls. Then they each decorated a white lunch bag with stickers, markers and crayons. Once they finished they also made pink bracelets. I picked through all of our beads to include only the pink, red and white beads. I was amazed with how long all of the girls worked on their projects. They seemed to really enjoy this part of the party. Next we served the bagels, pink lemonade and strawberry milk. The kids were excited about having their own tea cups and we served the pink lemonade from the tea pots. We filled two large buckets with rice, pink petals, pink pom poms and pink heart sequins. Then I added in some special treasures for them to find. Each girl had to find a hear lip-gloss ring, eraser, pink bubbles and a candy necklace kit. We called the girls to come and they used their decorated bags to hold the treasures that they found. This was a lot of fun and the girls really seemed to enjoy it. Next time I would do it in a different container because some of the things were really hard to find because they went all the way to the bottom and they really had to dig. With 17 girls this took a bit of time. 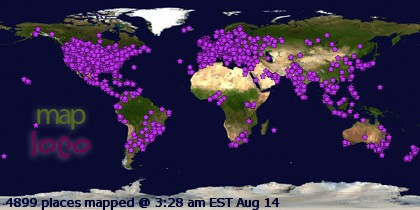 But everyone had fun watching, playing and hunting! This is one of my favorite pictures her smile is priceless, she was so happy the whole day. After the cake the girls each went home with their decorated treat bag filled with the bracelet they made, the treasures they found in the rice along with the wand and marshmallow pops that decorated the table. 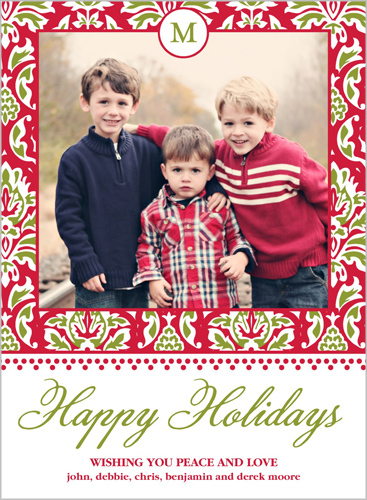 I found the printable topper from Kim at SevenThirtyThree and printed them onto card stock. Then I was able to buy individual pieces of candy at Party City. So I picked out Green Fruit Slices, Green Lollipops and Green Foil Wrapped Hershey Kisses. I put them all into small plastic treat bag (the same ones I used for the marshmallow pops just a little larger) and stapled the topper on. They looks so cute and were one of my favorite things to make for the party.